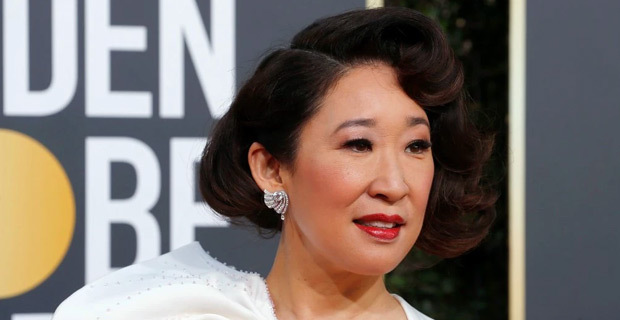 76th Golden Globe host, Sandra Oh has won Best Performance by an Actress in a Television Series - Drama for her film Killing Eve. Oh along with Andy Samberg are hosting the show, which honors the best in television and film. Regina King who starred in the film “If Beale Street Could Talk” has bagged the award for Best Performance by an Actress in a supporting role in any motion picture. Michael Douglas has won the first award for Best Performance by an actor in a Television Series- Musical and Comedy, for his role in the series, The Kominsky Method. Best Motion Picture animated was won by Spider-Man: Into the Spider-verse. Other nominees in this category included, the Incredibles 2, Isle of Dogs, Mirai and Ralph Breaks the Internet. Richard Madden bagged the Best Performance by an Actor in a Television Series Drama for his role in the movie Body Guard. In other awards still be given out, Lady Gaga has been nominated for Best Performance by an Actress in a Motion Picture ‑ Drama for her film A Star is Born. Stay with us for the latest in the Golden Globe awards.